Basically menopause is the absence of menstrual period for at least 12 months. During this time ovaries cease to function. During this period egg is released from an ovary which then travels from fallopian tubule to the uterus. The source of female hormones is the ovaries which are responsible for controlling characters like breast development, body hair and body shape. Estrogens protect the bones from osteoporosis. An osteoporosis can develop if ovaries are unable to produce adequate estrogen. What is the average age of menopause for women? The average age at which a woman reach menopause is 51 years old but it is still controversial to predict the right time when a woman will enter menopause. The age of menopause offset is also not related to the age at which menstrual periods start. 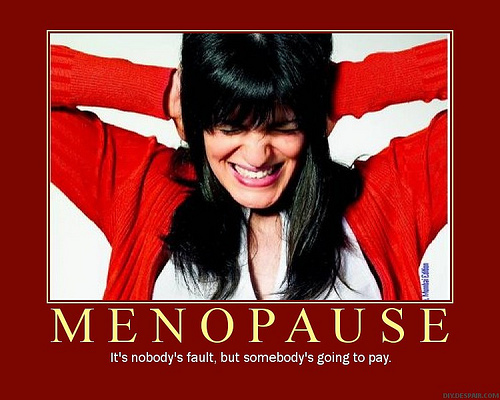 A woman can have menopause as early as the 30s or it may not occur until her 60s. There are certain conditions that affect the menopause timing such as hysterectomy (surgical removal of ovaries along with uterus), cancer therapy (radiation therapy and radiotherapy) and a premature ovarian failure. As a result of menopause osteoporosis and cardiovascular disease are the complications that usually occur. The only way one by which one can predict menopause is by observing lack of menstrual periods for 12 months in that expected age range in the concerned woman. A blood test is not reliable method as hormone levels keep changing from high to low in a single woman each day. are very scary, I take natural remedies to help combat my symptoms. Commonly, menopause can be investigated by lacking of menstrual period for more than 1 year, however, it can occur from other reasons – such as ovarian surgery.